Mechanical / Industrial Design by our definition is an Engineering category that sits between consumer product and the plant & machinery design disciplines. This encompasses batch production type projects. 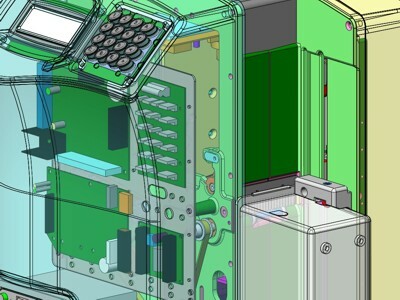 As always focus on cost is clearly required but the functionality of the end deliverable becomes more significant as you move closer toward the status of one off plant & equipment design. As for all engineering projects, you have to make expedient high quality decisions as early as possible in the design cycle. What makes this ever so true is that the cost of the design process becomes a greater portion of the overall project cost, as you are dealing with lower numbers of items to be produced compared to full on Product Design. Unconscious competence plays a big part in making the right decisions early in the design process and this is what our Design Director brings to the table with more than 35 years of mechanical engineering experience. If Finite Element Analysis (FEA) simulations are required then we ensure that the correct assumptions are used, and avoid the trap of over thinking the problem. From this point we can take full ownership of your product development and handle the complete project management if need be. Examples of our public domain Mechanical Design work undertaken are as documented in the side links. Please contact us to discuss your Industrial and Mechanical Design requirements.